Tuesdays are about to get a whole lot better. 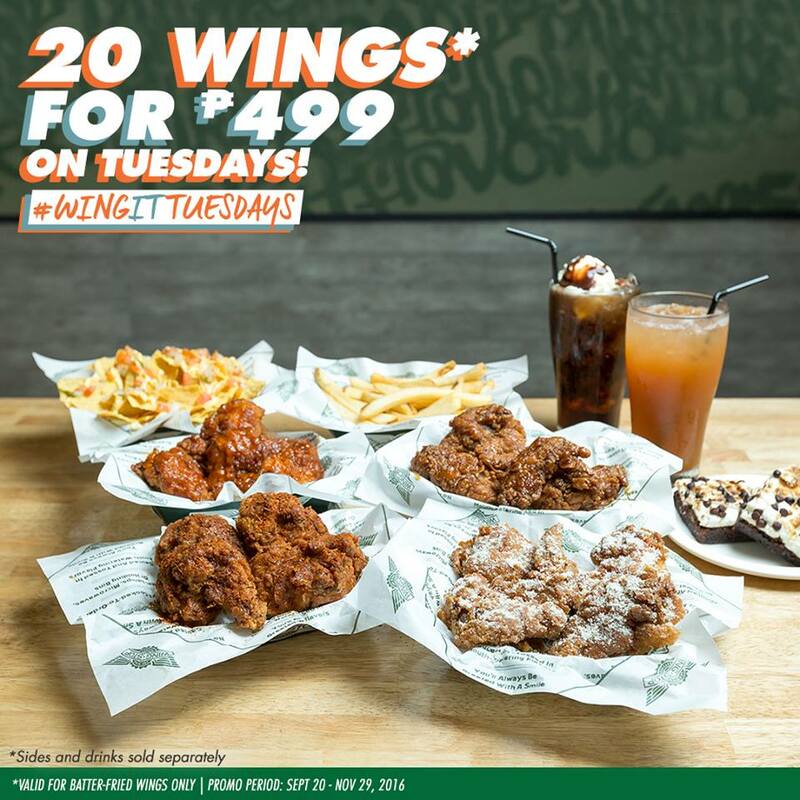 Check out Wingstop's Wing It Tuesdays Promo starting tomorrow, September 20, 2016. 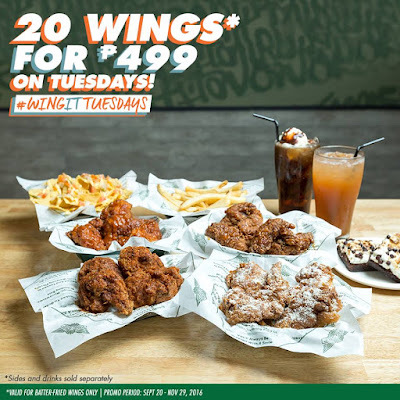 Enjoy 20 BATTER-FRIED WINGS for P499 only. Valid for batter-fried wings (4 flavors) only. Valid for dine-in, take out and pick up orders. This promo runs from September 20 to November 29, 2016!